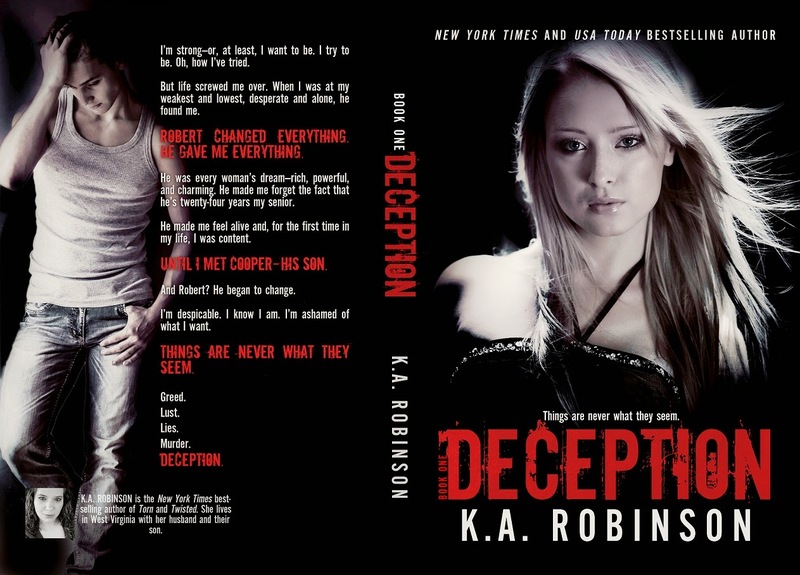 Deception by K.A. Robinson Cover Reveal! Chapter One is available on K.A. Robinson’s blog now. You can read it here! Also, here is a teaser! (The very first one!) This is completely unedited! I have no idea what you’re talking about.” I whispered as I took a step back. My back hit the wall, but he continued to step closer. He stopped right in front of me and rested his hands on the wall next to my head so that he caged me in. You can preorder Deception on Amazon now.